Sahara Dewey is a Soul Alchemist and Intuitive who has been mentoring, counselling and coaching others to follow their hearts and souls to reach their highest potential and to facilitate positive change within themselves for over twenty-five years. She has an absolute passion for educating and inspiring others to live their divine purpose. She is clairsentient, and a medium and has been communicating with the divine beings of unconditional love since childhood. 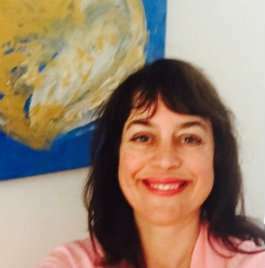 Sahara has an Advanced Diploma in Transpersonal Art Therapy along with a Diploma in Holistic Medicine and Counselling and has many certificates in energetic healing and metaphysics. She uses many modalities in her sessions including aromatherapy, naturopathy, art/writing therapy, movement and flower essences. She provides and uses practical and simple tools and techniques to incorporate into daily life. She is also an artist and has sold many paintings around the world. 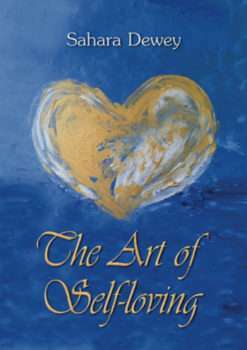 Her paintings are channeled directly from the divine to encapsulate healing and divine love for each individual client. She is an outstanding presenter and facilitator and uses her great sense of humour to engage and entertain her audience. Sarah is learning to be a mother of a teenage son (whom she adores) and loves chocolate, animals, laughing, being with like-minded people, going to the movies and drinking jasmine tea.